Sr Eden Loyla mixes the batter. 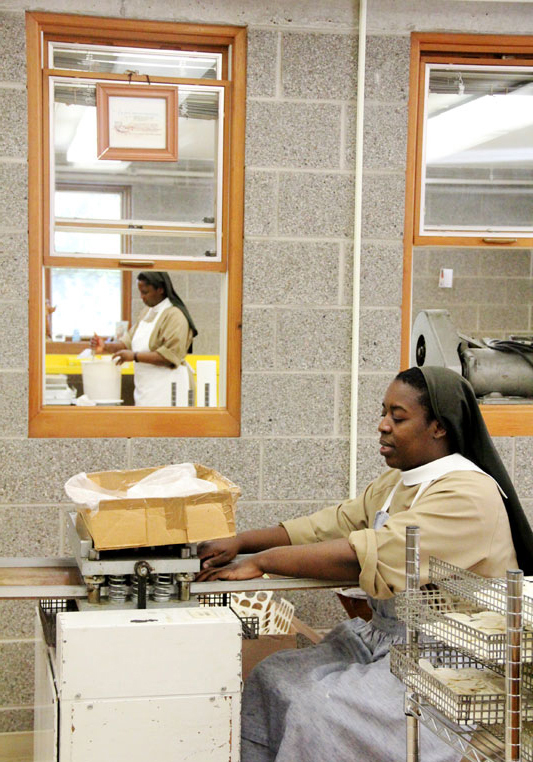 The monastery of the Poor Clares, an order of contemplative (cloistered) nuns in Langhorne, is abuzz with preparations for the papal visit. 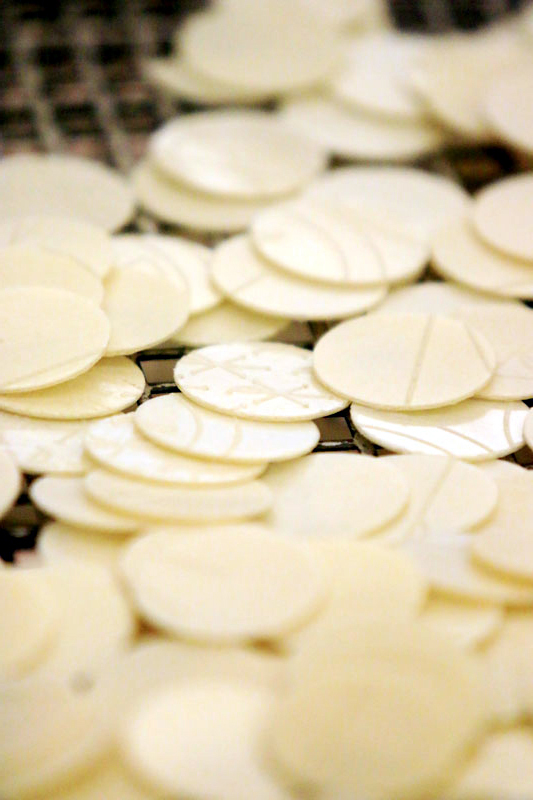 In particular, the sisters are making 100,000 hosts to be distributed at holy Communion during the Mass Pope Francis will celebrate Sunday, Sept. 27 on the Benjamin Franklin Parkway in Philadelphia. See the process through our unprecedented access for a photo gallery by Sarah Webb. 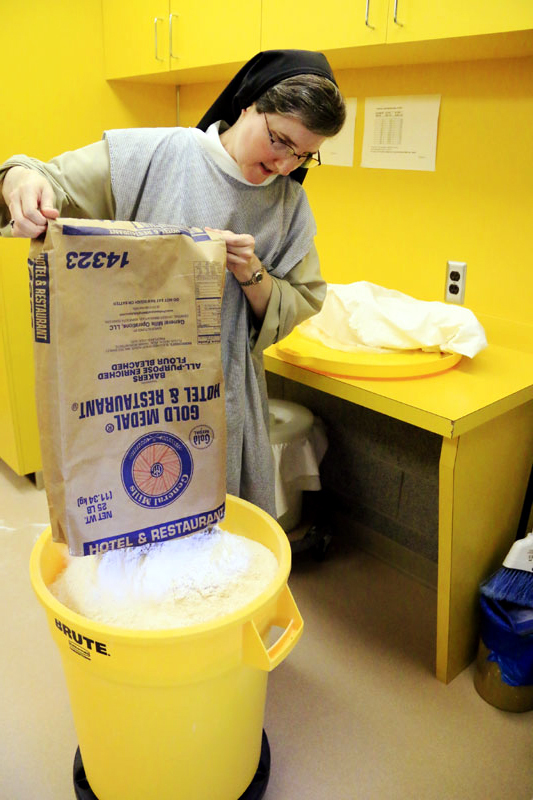 Sister Anne Bartol pours flour to begin the process of making hosts. 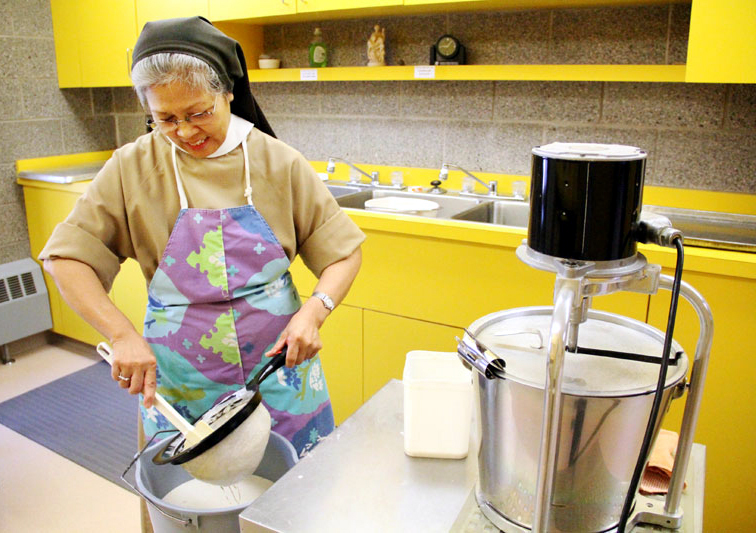 Sister Eden Loyla mixes the batter. 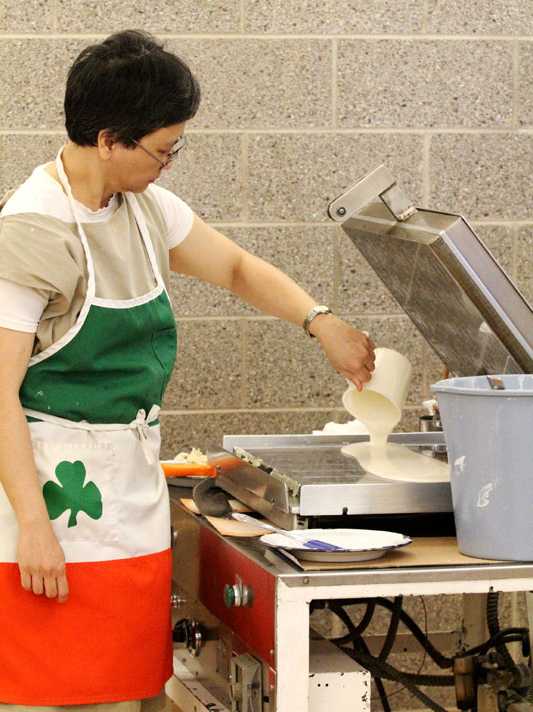 Postulant Maria Sison pours the batter into a press. 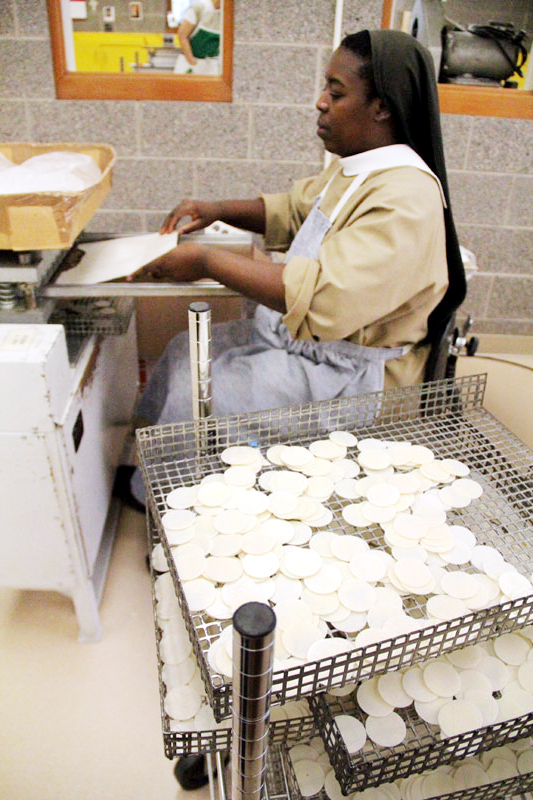 Sisrer Tereza Staphano inspects the sheet of bread as it comes out of the press. 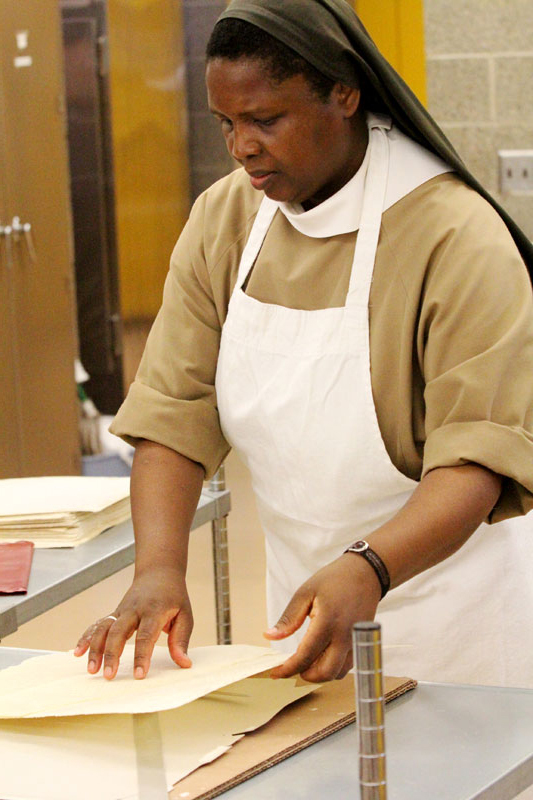 Sister Holy Spirit Iwelengera pops the hosts out of a stamp while behind her in another room Sister Tereza Staphano bakes the hosts. 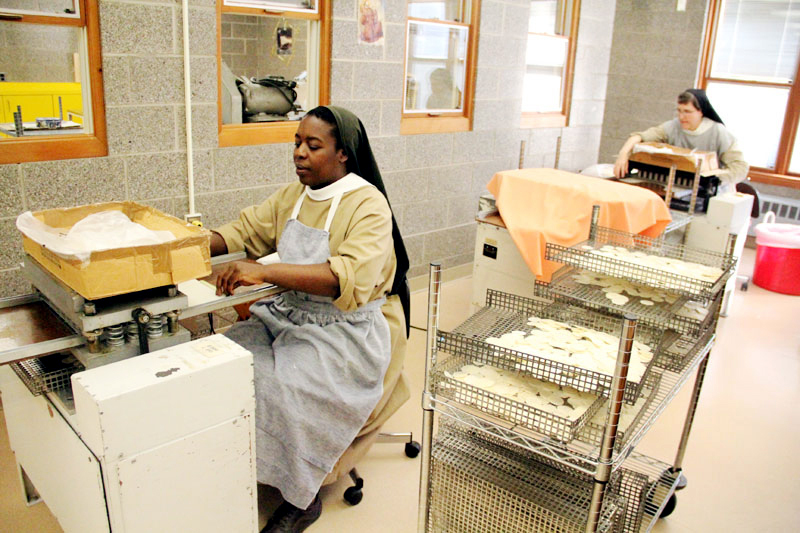 Sister Holy Spirit Iwelengera and Sister Anne Bartol use equipment to punch out the hosts. Sister Holy Spirit Iwelengera places the punched hosts into baskets. 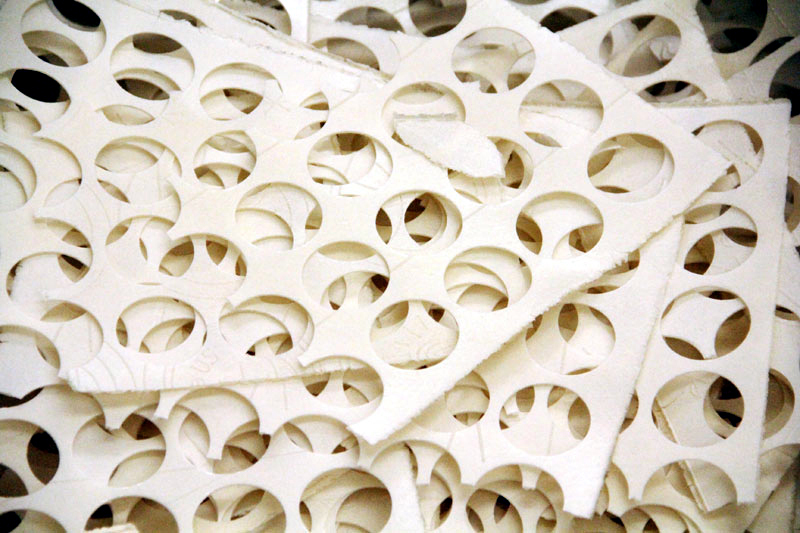 The forms show what’s left after the hosts have been removed. 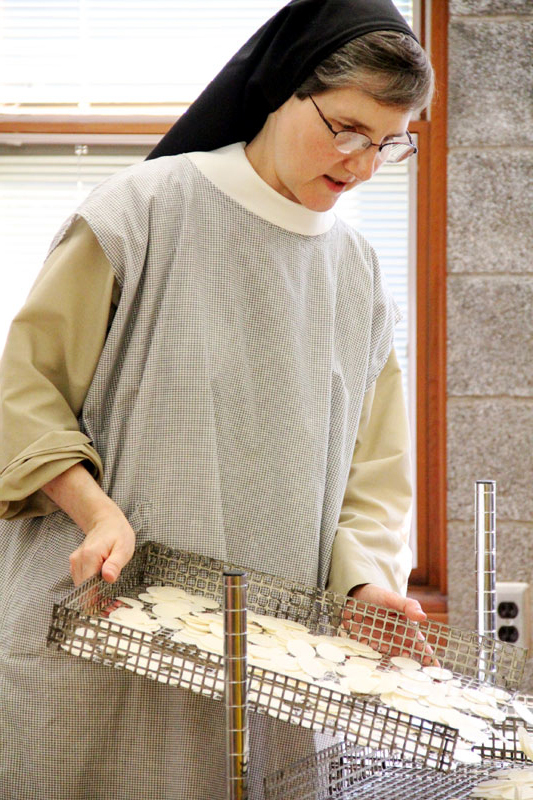 Sister Anne Bartol merges trays of freshly made hosts. 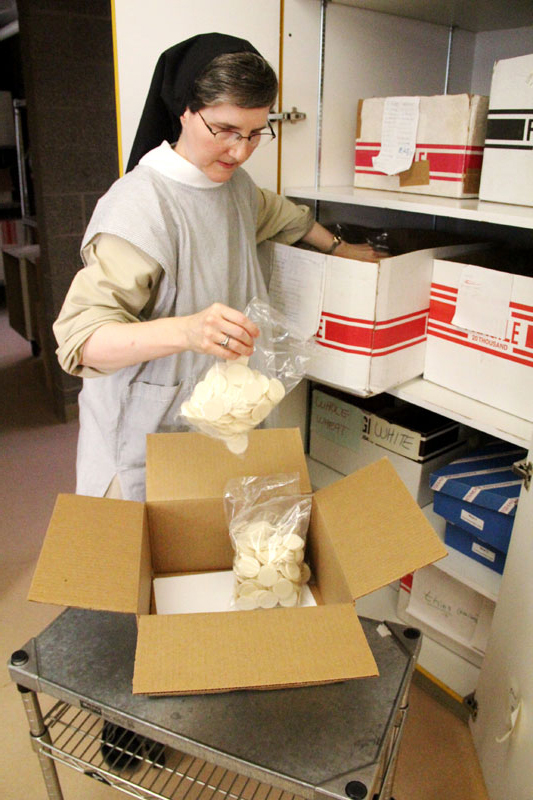 Sister Anne packs the hosts for shipment.